Iran is waiting for Lebanon to show a desire to accept its military assistance, Iran's foreign minister said on Sunday, reiterating an offer of support to the U.S.-backed Lebanese military. Jawad Zarif, whose government backs the powerful Lebanese group Hezbollah, was speaking at Beirut airport at the start of his first visit to Lebanon since its new government was formed late last month. Hezbollah leader Sayyed Hassan Nasrallah said last week he was ready to secure air defense systems for the Lebanese army from Iran to confront Israeli warplanes and to secure "everything it wants to be the strongest army in the region." Asked if Iran was ready to offer military aid, Zarif said: "We always have this type of readiness and we announced on other occasions that this tendency exists in Iran but we are waiting for this desire to exist on the Lebanese side." The United States, which lists Hezbollah as a terrorist group, says its military aid to Lebanon aims to strengthen the army as "the sole" military force defending the country and to counter threats from neighboring Syria. 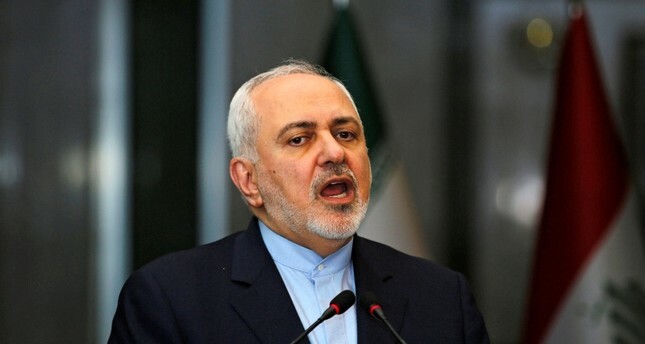 Zarif, who is due to meet government officials on Monday, said his visit aimed to declare Iran's support for Lebanon and to announce that it "has complete and comprehensive readiness to deal with the brotherly Lebanese government in all areas." In a speech last week, Nasrallah asked why Lebanon was "ignoring" Iran while "offering our necks to others" - an apparent reference to the United States, which has tightened sanctions against his group. The makeup of Hariri's government largely reflects the result of a parliamentary election last year, in which Hezbollah and groups that support its possession of arms secured more than 70 of the 128 seats in parliament. The role of Hezbollah, a heavily armed group founded by Iran's Revolutionary Guards in 1982, has grown through its naming of the new health minister - the first time it has controlled a ministry with a large budget.